This versatile indoor plant is perfect for a coffee table or desk. 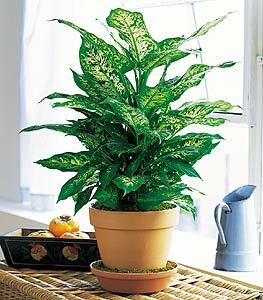 Full and vibrant with attractive speckled leaves, its sure to delight anyone. One dieffenbachia plant arrives in a terra-cotta pot with matching saucer.